Home Year 2019 MotoGP 2019: Marc Marquez Crashes, Alex Rins Wins in Austin! 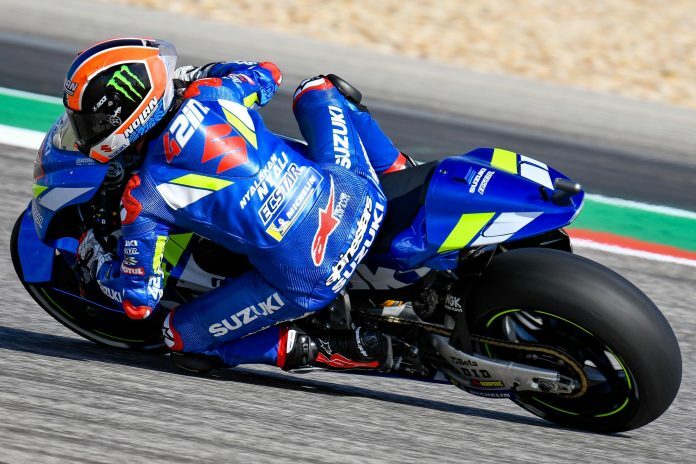 Alex Rins won the MotoGP race at the 2019 Red Bull Grand Prix of the Americas. Marc Marquez crashed out with 12 laps to go. 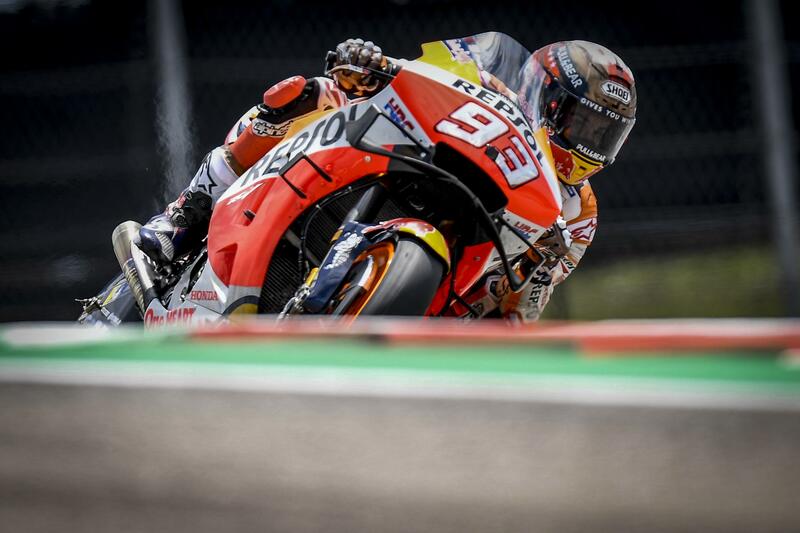 Marc Marquez had hoped for a perfect record at the Grand Prix of the Americas, but a mistake at Turn 12 destroyed that record, leaving Alex Rins to win. 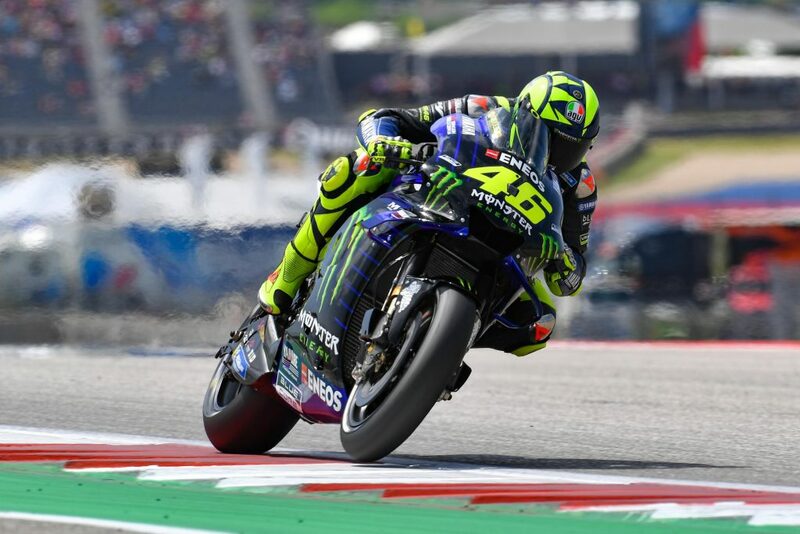 He had done what he does best by taking the holeshot at the start and took off into the distance, followed by Valentino Rossi (Monster Energy Yamaha), Cal Crutchlow (LCR Honda), Jack Miller (Lamborghini Pramac Ducati) and Alex Rins (Suzuki Ecstar). Crutchlow would crash out with 15 laps to go, leaving the other three riders to battle for the remaining podium spots. By 12 laps to go, Marquez led by 3.6 seconds and the race looked like it was going to be another boring procession. Suddenly a roar went up in the crowds and the TV screens showed a Repsol rider picking his bike off the ground. It turned out to be Marquez! He tried time and again to pick his bike up but fell back down on the ground and finally gave up. Replays showed that he had locked the front wheel while trail braking into the first gear Turn 12. It was a bad day for the Repsol Honda team as Jorge Lorenzo’s bike broke down a lap later. Marquez’s crash left a nail-biting battle between Valentino Rossi and Alex Rins. 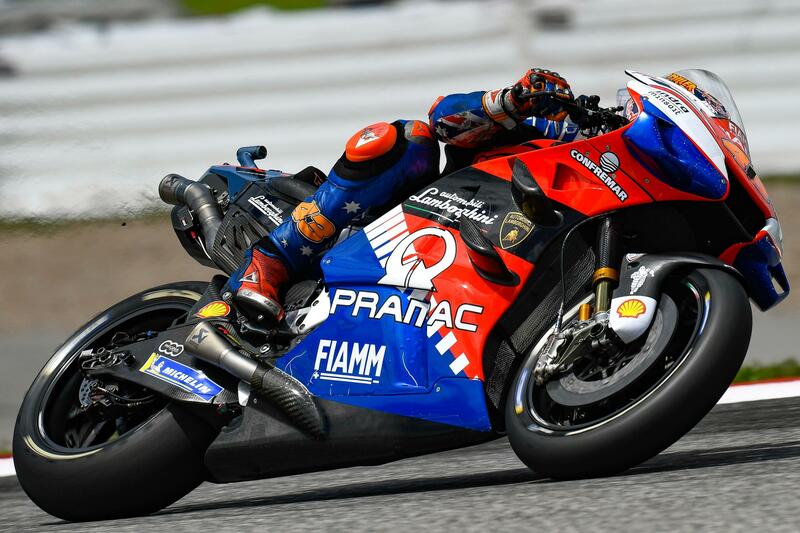 Rins had dispatched of Jack Miller. With 6 laps to go, Rins’s team sent a message to select “Mapping 3” and started to stalk Rossi closely. Rins finally made a move with 4 laps to go. Rossi replied with a repass by couldn’t hold his line and that let Rins off the hook. Rossi’s tyre’s were cooked by now but he didn’t let it go down without a fight. Rins was able to open up a lead of 0.7 second but Rossi managed to pull back 0.25 second in braking down to Turn 12. However, Rins was able to hold on and claim his very first MotoGP win. Behind them, Jack Miller held on for his first podium in the dry and on a Ducati while keeping himself just out of reach of Andrea Dovizioso (Mission Winnow Ducati). Dovizioso started the race from 13th on the grid. Franco Morbidelli rounded out the Top 5. The results of the race bring Dovizioso into the lead of the championship with 54 points, to Rossi’s 51, Rins’s 49 and Marquez’s 45. That’s 9 points covering four riders. Next articleVideo Review of The New Ducati Diavel 1260S We Tested in Spain!